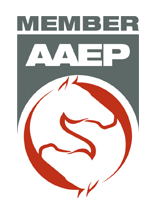 Connecticut Equine Practice recognizes the importance of protecting the personal privacy of its clients, its patients and those individuals who simply visit our site. Veterinary medical ethics and professional guidlines require that we do not share information about clients or their pets to anyone without express permission of the client. No information or medical records will be released about any animal under our care unless we have permission from the owner or the owner's agent.